There have been rumors swirling about regarding an NHL expansion. I think that since hockey IS a Canadian sport and the NHL was originally the national league of Canada, that there should be more teams in Canada if there ever is an expansion. That being said, I'd love to see a new franchise in Quebec City. I would also love to see them bring back the Nordiques identity! 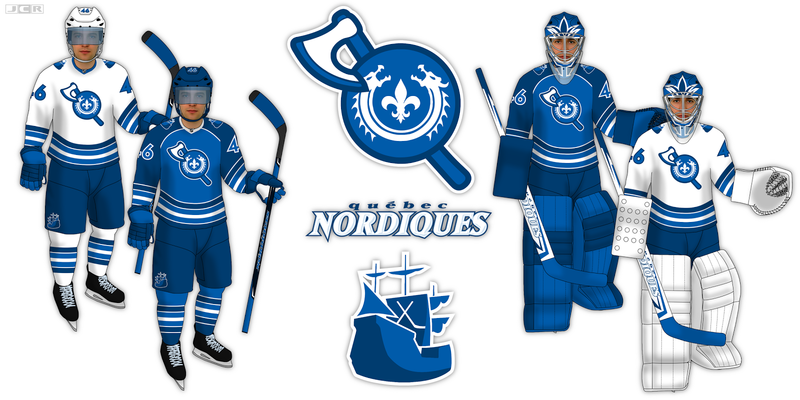 With that in mind, I redesigned the Nordiques for 2015. I decided to go with a double blue color scheme based on the Nordiques old colors and the Quebec flag. I designed a logo (originally from a previous project) that reflected the Nordique (French for Northmen or Nordics) and French explorers that settled in Quebec. It is believed that the Vikings may have made it far inland on North America landing in Newfoundland (Vinland to them) and going through Quebec. The primary logo features a Viking shield and axe to represent the Vikings, and a fleur de lis to represent the French explorers. Notice that the axe and shield also make a letter Q for Quebec. For a secondary logo, I used Champlain's Don de Dieu as a starting point. I wanted a simple yet bold logo to work as a shoulder patch. 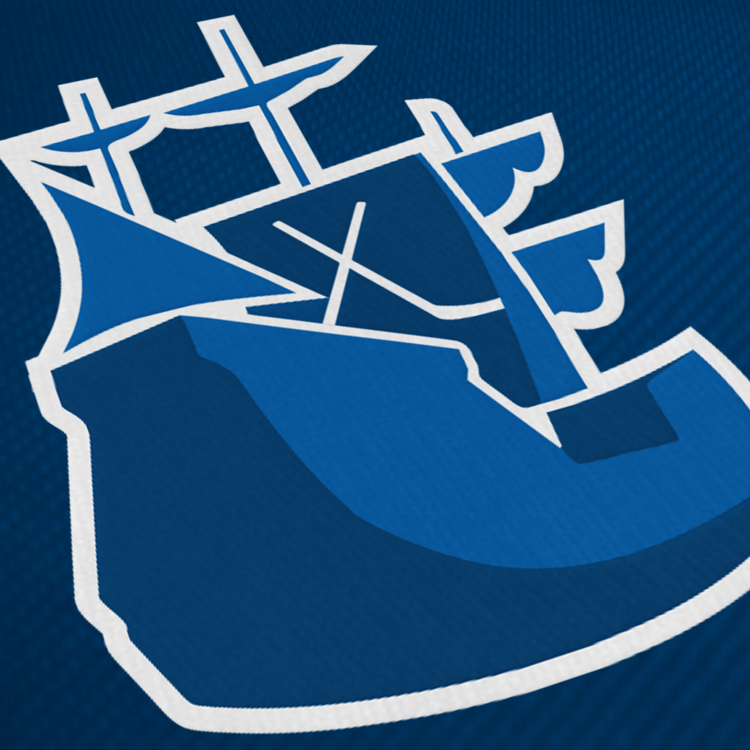 It is a stylized boat with crossed hockey sticks on the main sail. For the wordmark, I went with something sharply pointed to represent the points on a compass. I added a little embossing to add depth and make it pop. I put all of these design elements together into uniforms I would be proud wearing on the ice. Agreed. The Nords have a better claim to this palette than the Jets do, in my opinion. I had a concept like this once that combined the light blue of the provincial flag with the dark blue of the city flag. I like your Viking twist, but there's a little too much going on in the crest. What if you had just the shield? You think people would still get that it's based on Nordic imagery? Love the logos, but I really miss the red and baby blue. I also wish you would have used a different template for the uniform concept. Favourite Logos:Way too many to list. I love these logos. But the ship looks a bit funny without the bowsprit on the front of the ship. Still though, both logos are wonderful. Great colors, great symbolism. If this were real I would be purchasing merchandise immediately! Wow! I love the concept although I agree with the admiral about the fact that the uniform look a bit like the Jets. But I do like the ''clin d'oeil'' to both the vikings and Champlain. The boat is fantastic. Well done! I really like these. But there seems to be too many stripes on the socks and end of jersey.